Create a unique, personalized look for your truck from a wide assortment of bed liners, grill guards, ladder racks, nerf bars, steps, tool boxes and more. Visit us in our Shoreline or Bellevue locations to see all the products available. Can’t find it in stock? We’ll special order it and install the parts for you. Our team of experts can help you choose unique accessories for your specific work or recreational needs. Here at Mann’s we’ve been specializing in helping our customers with trailer purchases and repairs since 1973. We are the number one source for your trailer needs in Seattle and on the Eastside. Come into our shop today and discover the latest materials and construction types for transporting goods for your business or recreational purposes. We also repair trailers in use today, ensuring that you’re taking your loads on the road, safely and securely. We offer safe, reliable hitches and hitching components for every vehicle class on the road. We proudly sell Curt Manufacturing®, and Draw-Tite® hitches. Already own a hitch package? We’ll install that too (new parts only). Our expert technicians can install the entire package or components separately, including the hitch-receiver, wires, and ball mounts. Stop by our store to talk with a technician about the best options for your towing needs. Looking for an easier way to tow a car or camper behind your vehicle or RV? We partner with ROADMASTER, Inc., the leaders in tow bar production to provide an easier, space-saving option for your towing needs. Based locally in Vancouver, WA, they offer a hands-on design that exceeds the most stringent testing in the industry for strength, structural integrity, and most importantly, for safety on the road. ROADMASTER tests the quality and safety of their tow bars using the same program NASA scientists use for their own product testing! We can help you choose the right option from non-binding or classic tow bar models. 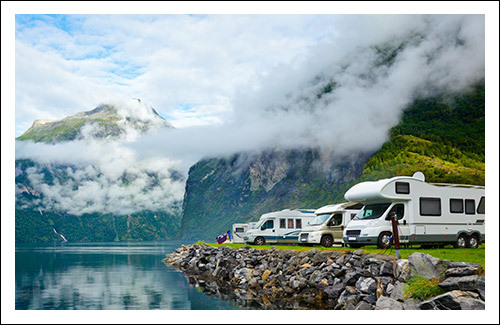 Mann’s carries and installs quality electrical components needed to pull your boat, 5th wheel, utility, and specialty trailers anywhere you want to go. For easy night-time towing, safe braking, and the power to hoist heavy loads, you can rely on our expert team. Adding lights and electrical components to your vehicle or trailer brings extra safety measures when you’re on the road. Talk with us today about all the options available for installation. Installing a bed cover on your truck ensures safe storage of personal items, protection from harsh weather conditions, dings and scratches, plus it improves your truck’s gas mileage. We carry America’s most innovative, best-selling covers from Retrax™. These low-profile, patented covers are made with reinforced polycarbonate, or heavy-duty aluminum slats, which are connected by durable and flexible hinges, creating a strong seal . Retrax™ pickup beds are built tough and backed by a limited lifetime warranty. Mann’s Welding, based in Shoreline and Bellevue, Washington is the Puget Sound’s local source for trailer hitches, truck accessories, custom trailers, and repair. Family-owned and operated since 1973, we have the experience you can trust and a reputation for excellence. Our technicians will work directly with you to provide safe, reliable options with a creative touch for your family’s vehicles, whether it’s for recreational or business purposes. Need to TOW a trailer or car? Mann’s will guide you in making the best decision on the tow hitch product you need and will install it with your utmost safety in mind. In addition, we’ll install brake controls and wiring to complete your set up. Want to “TRICK OUT” your truck or car? See us for the latest ACCESSORIES to improve the aesthetics, enhance the capabilities, protect, or make your vehicle more more user-friendly. Consider adding popular features including brush guards, bug shields, fender flares, ladder racks, mud flaps, nerf bars, running boards, tonneau covers, tool boxes, work lights, and more. Dream of having a CUSTOM TRAILER to make your life easier at work or home? Let us build a utility trailer to haul yard waste or construction materials. Let us BUILD YOU A LANDSCAPING ENCLOSURE designed with your specifications. You’ll be able to take on more business with less effort because of the efficiency of our custom builds. Be the envy of your competition. Want to hit the trails or get out of town with your bicycle? See us for a TRAILER HITCHES and RACKS for quick and easy mounting and dismounting of your bicycles. We sell models that hold 2, 3 and 4 bikes, depending on your need. See us for personalized, reliable service and trustworthy workmanship! Conveniently located in Shoreline or Bellevue, WA, we’ll meet with you to offer a full assessment of your recreational or business needs. Our expert staff can help you select the right accessories to match your vehicle size, truck style, RV capacity, and trailer equipment specifications. Come see what we have in store today and ask us about special offers and seasonal promotions that we have available right now! Copyright © 2019 Mann’s. All rights reserved.